With medical and health authorities all across the United States beginning to take action to remove freedom of choice in refusing vaccines, Facebook founder and CEO Mark Zuckerberg has taken a public position in the current vaccine debate, in what many in the media are reporting to be a direct attack against those who refuse or question vaccines. So what's next for Zuckerberg and Facebook? Since Zuckerberg is apparently taking the position that "the science on vaccines is settled," will he also take the corresponding position that Americans do not have a right to refuse vaccines, for "the greater good?" Does this pave the way for Facebook to censor free speech on vaccines? So we have Mark, a guy who got filthy rich in tech with no real contribution to it, and now we are supposed to think his opinion on vaccines carries any real weight in the discussion? I think not. Looks like this is the kook web site - Vaccinate - It's SMART and it's the LAW!! Those that say " the science is clear" obviously haven't read the science. his wife is finally expecting their first child together...I wonder if he plans on having every vaccine he can get his hands on injected into his precious and long-awaited baby....I would love to hear his response. Anybody know if Zuckerberg has taken the vaccines that he is such a proponent about. Times Up! I Wont' Take It Anymore! http://sb277referendum.com/ Get involved in CA for the People's Veto Referendum. And the Recall of Senator Doctor Pan in District 6 in Sacramento, CA. https://www.facebook.com/groups/CanPan/....Sign Up and Volunteer Your time! Shame on the State Legislature, Governor Jerry Brown, and Zuckerberg and Facebook for believing Who.org, CDC, Pharmaceutical, and MD's statistics for "safe and effective". Every Politician knows how to organize statistics to prove passage of bills. 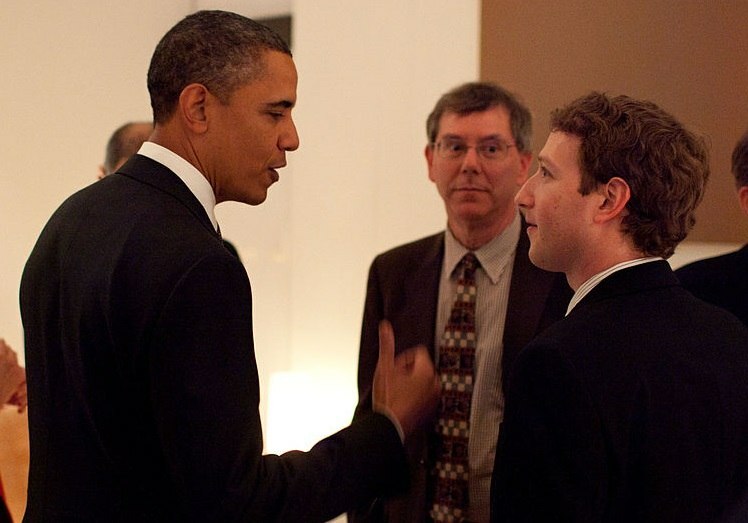 "Come on, Jerry Brown, President Obama, and Zuckerberg get a grip." We are suppose to give up our deceased and physically impaired children to the "higher good" because so many our saved by vaccinations. Who.org Sale Plan for 2015-2025 is all about the trillions to be made from the sales of vaccines and shared profits with MD's. "Buy our vaccines and to secure your profits we are going to legislate forced vaccines, globally." (Follow the money). There is not sound science for vaccines. No double blind studies or cause and effect studies exist. No studies to prove "multiple vaccines" are killing our babies from toxic overload. Vaccines can produce the opposite effect and when the child's immune system does not work....no antibodies are even produced. We are needlessly putting our infants, toddlers, and children at risk. HPV and Hep B shots to meet the CDC Schedule with in 15 hours of birth and the Gardasil vaccine is a killer....1 in less than a 1000 will kill our daughters and 12 year oid sons. The back lash for face book and the Democratic Party from forced vaccines is withdrawal from face book and registering as Republican or other parties is the back lash. Recalls of Senator Doctor Pan and Governor Jerry Brown and a Referendum have been launched in CA. The People's Law Will Prevail! So, Ha Ha! It would be interesting to know when was the last vaccine jab Zukerberg had. Not a great time to be alive while watching corruption take place in all fields of government controlled by big business! I forgot to mention another connection between vaccines, Nagalase, and vitamin D deficiency...brittle bones disease and Shaken Baby Syndrome...the same conditions parents have been accused of abuse, imprisoned, and had their children removed and parental rights stripped which were probably caused from vitamin D deficiency from Nagalase in the vaccines. Doctors take an oath " do no harm" not decide what you believe is right for others and make them do it or criticize and condemn them if they don't. Simply. "Do No Harm." Well said! I am going to borrow your post here cause it states what the problem really is. Um you do know that we are being poisoned really in the name of depopulation. Thank you so much! This is what I feel is true as well.